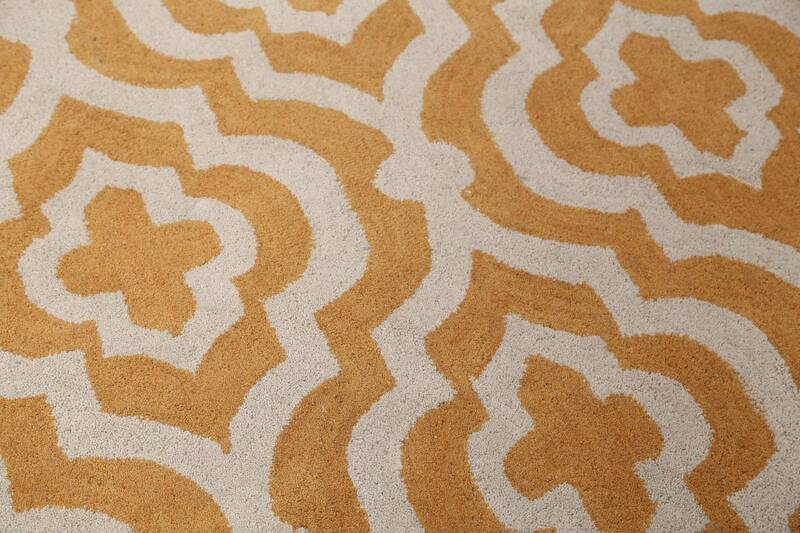 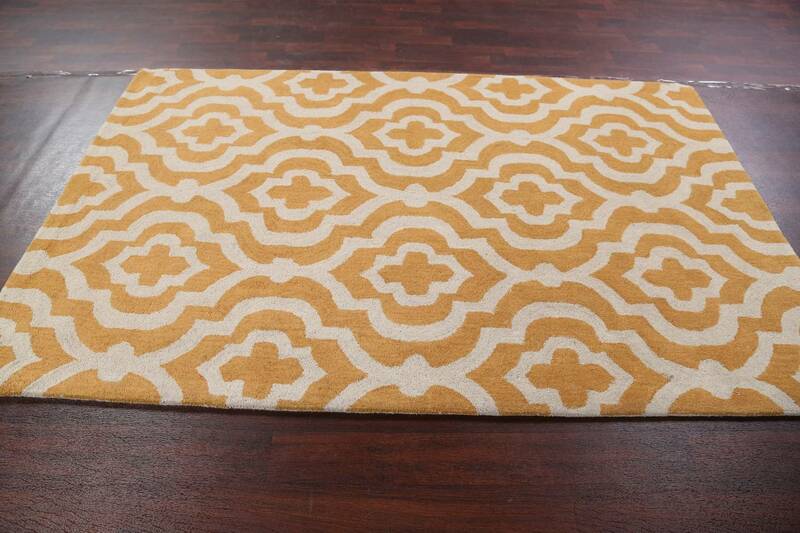 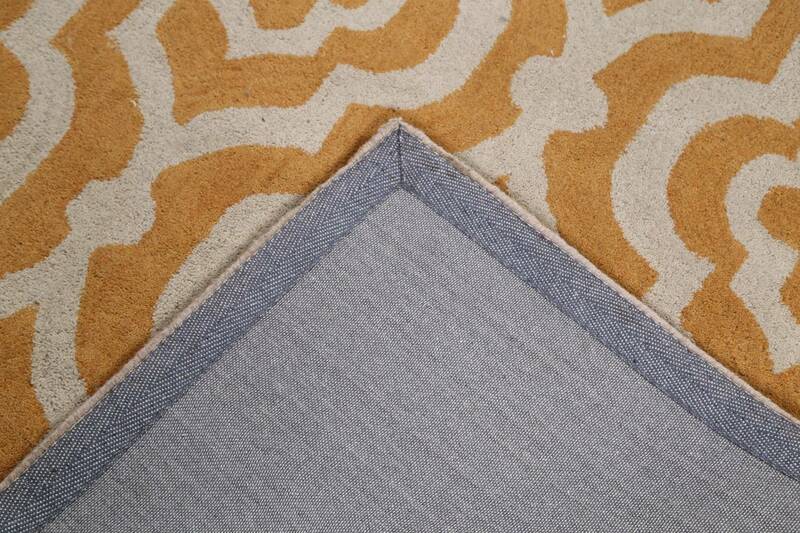 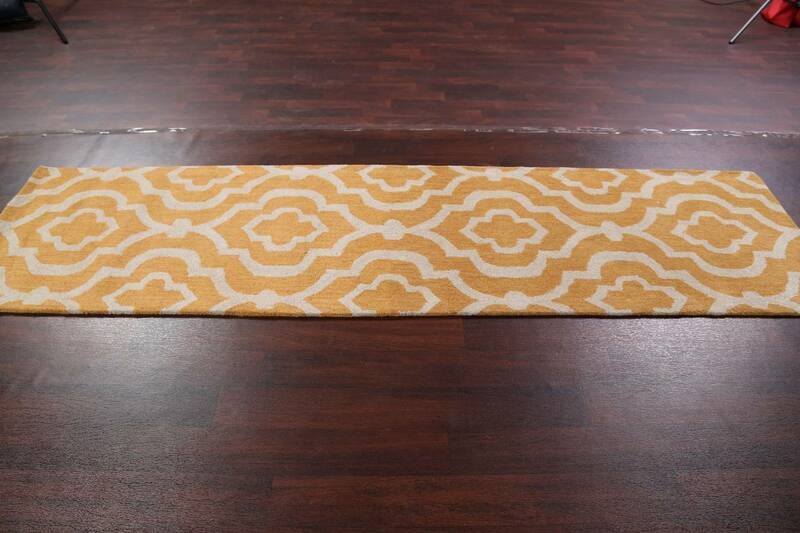 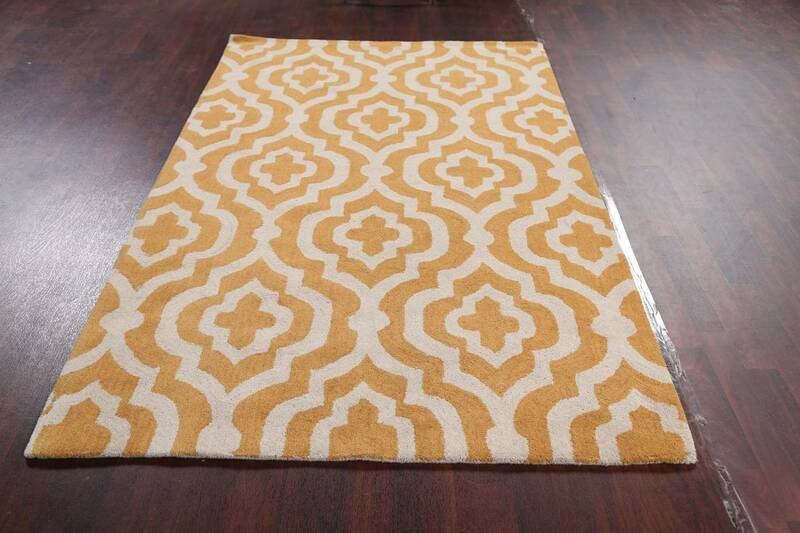 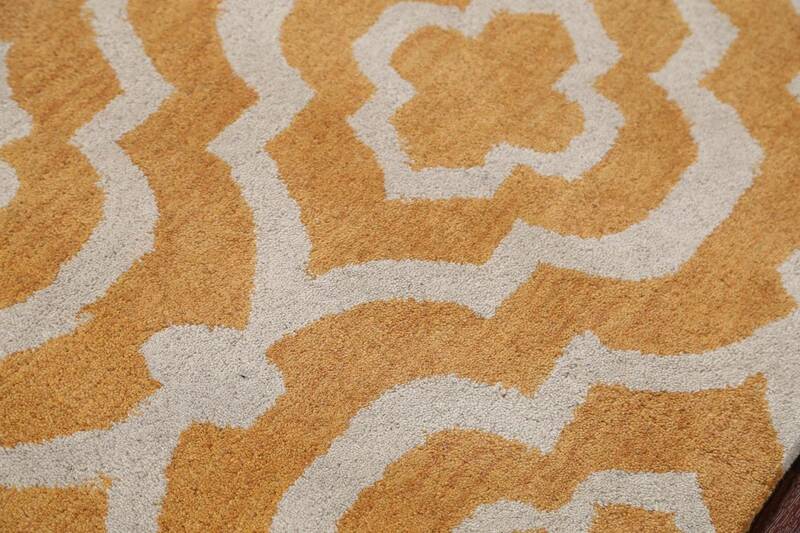 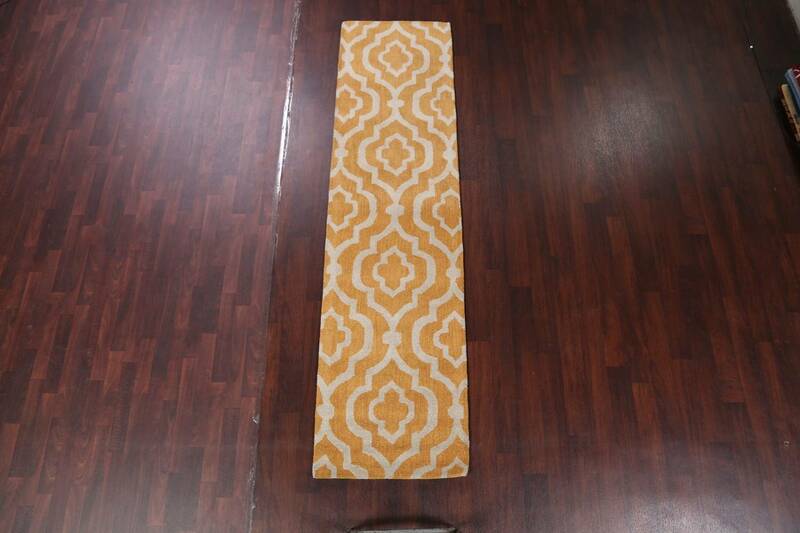 A Beautiful Genuine India Moroccan Trellis rug is Hand Tufted by skillful weavers in India with 100% Wool Material. 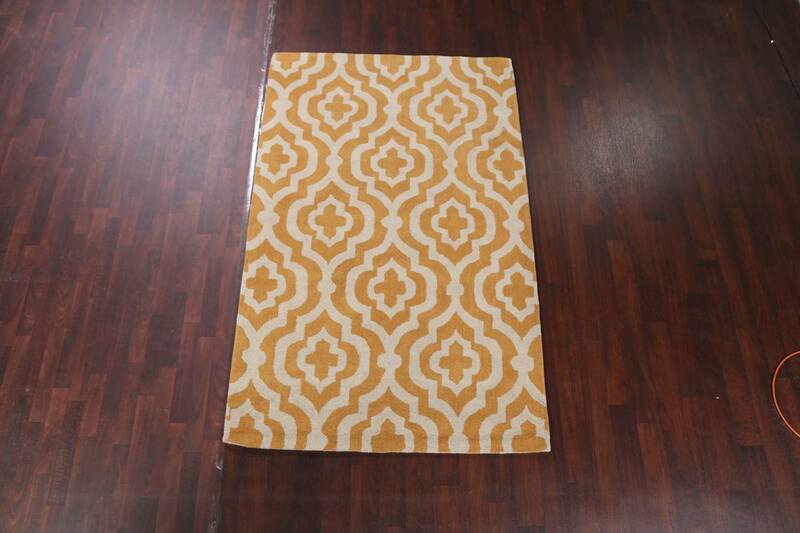 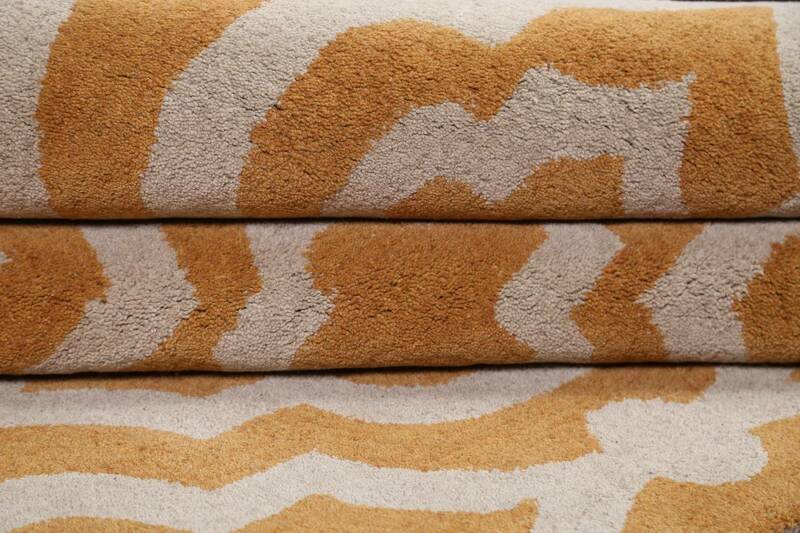 This rug is in New, First Quality condition. 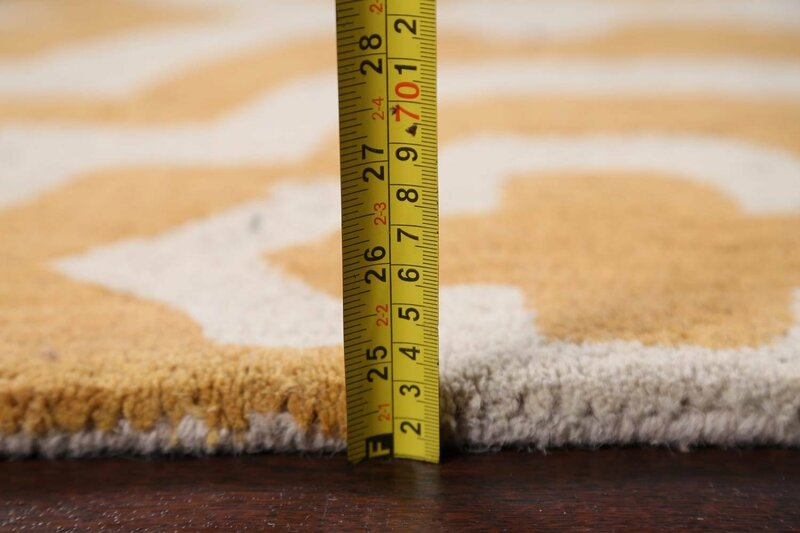 dimensions are in foot and in centimeter. 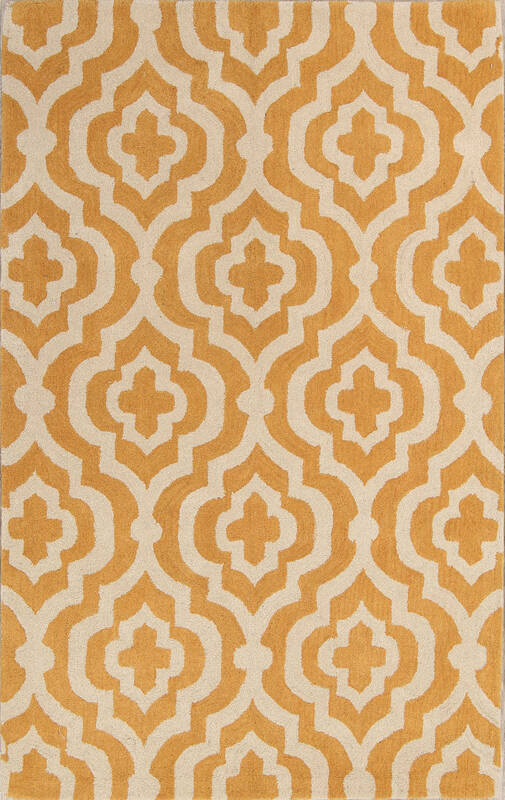 the primary color is Yellow & Gold.